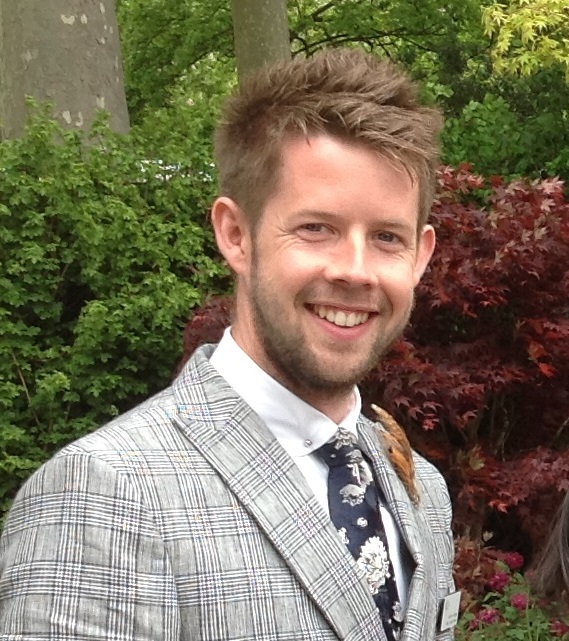 I'm delighted to report that my friend Matthew Pottage has been appointed Curator of RHS Garden Wisley. It's been an unbroken ascent from student to the top job, which in itself is a tribute to both his qualities and the perception by RHS management of an asset to be nurtured and retained. The plantsmanship he brings has been evident in the areas in his charge for several years, and we can look forward to the garden going from strength to strength under his leadership. Great opportunities are in the pipeline as the new masterplan for the site is unfurled, and Matt is just the person to drive the changes forward. Congratulations - and good luck! Mark Flanagan talking about one of his beloved rhododendrons, at a meeting of the RHS Woody Plant Committee, March 2014. Yesterday afternoon, at an intensely emotional funeral, we said goodbye to Mark Flanagan, Keeper of the Gardens at Windsor Great Park (The Royal Landscape), and Chairman of the RHS Woody Plant Committee. Having been apparently hale and hearty until then, in mid-September he suffered a seizure and subsequent heart attacks, from which he never regained consciousness until his death on 24 October. A duo immortalised on a plant label (at RBG Edinburgh): Tricyrtis formosana was collected in Taiwan in 1992. Their Taiwanese collaborator, Dr Pan, held such a high regard for Mark that he flew to England to be at the funeral. Mark and Tony first travelled together to South Korea in 1989; trips to Taiwan, the Russian Far East, Japan and China all followed. 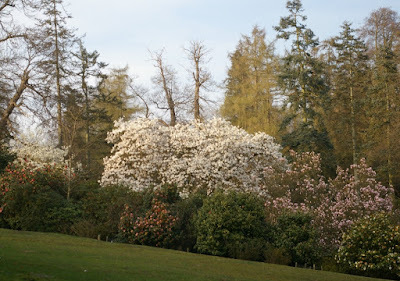 On each they made significant collections of seed of plants of all kinds, from which many of the trees are now becoming quite large and imposing, and which will continue to increase in stature and beauty. 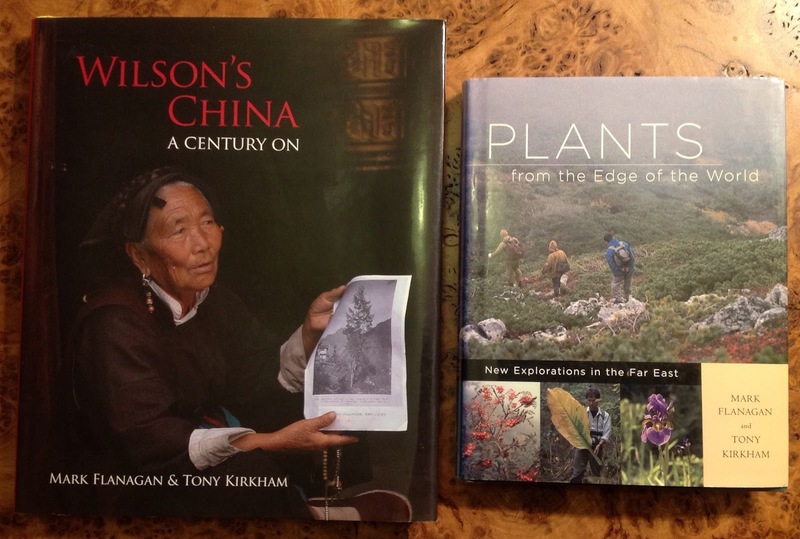 Their adventures on these expeditions are chronicled in the first of their two co-authored books, Plants from the Edge of the World (Timber Press, 2005). 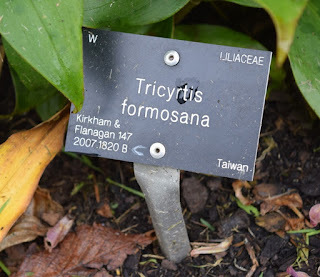 Throughout their travels their principle inspiration was Ernest Wilson, the great English plant hunter who did so much to bring the diversity of the Chinese flora to western gardens. On a trip to Sichuan in 2001 it was his encyclopaedic knowledge of the gardening literature that led Mark to realise that a (by then dead) huge old Cunninghamia was the same tree as that photographed by Wilson in 1908, reproduced by Bean. This extraordinary revelation sparked a further series of travels in which the two attempted to find locations visited by Wilson, and where possible, take a photograph from the same spot. Although much has changed in China, much remains, and the comparative images, published together in their book Wilson's China (Kew Publishing, 2009), are incredible. In many cases the same trees are easily recognisable, even when they are just components of the landscape, not to mention the set piece images of magnificent veterans. They had recently extended this project to cover Wilson's travels in Japan: Tony assured us yesterday that he will complete this project. The two books by 'Flanagan & Kirkham'. 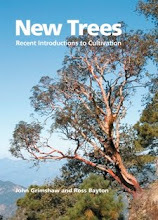 In addition, Mark contributed many well-written articles to the horticultural press. As so often is the case, one learns more about someone at the funeral than one ever knew in life. 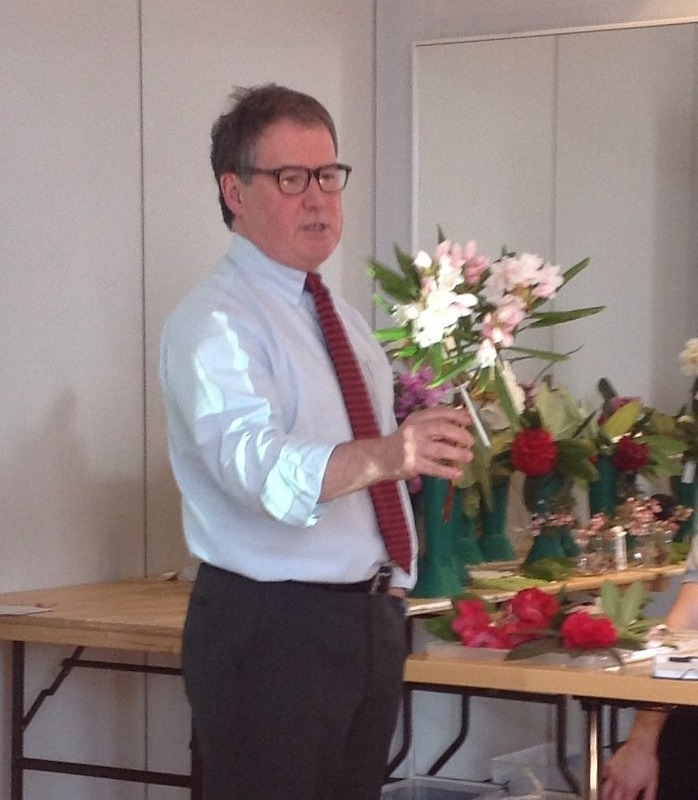 We were privileged yesterday to hear two magnificent eulogies of Mark. Tony Kirkham spoke of things horticultural and their travels, while Callum Flanagan spoke powerfully of his father the family man - 'the perfect male role model.' The standing ovation he received was a tribute not only to an extraordinary eulogy bravely delivered, but to its subject and his family. Tributes had also come from the highest places. As soon as she heard of Mark's illness the Queen appointed him a Member of the Royal Victorian Order (MVO), an honour exclusively in her gift, and this was presented at Mark's bedside in Harefield Hospital. Horticulture was slower to respond, but rather remarkably, the Royal Horticultural Society broke with 118 years of tradition to posthumously award Mark the highest accolade in horticulture, the Victoria Medal of Honour (VMH), news broken by Tony Kirkham in his eulogy. 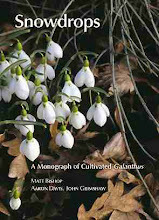 The VMH can be held by only 63 living recipients at any time and there is no doubt that as he approached the level of elder statesman it would have come to Mark: but now his name is inscribed on that list of the greats of horticulture, as it should be. 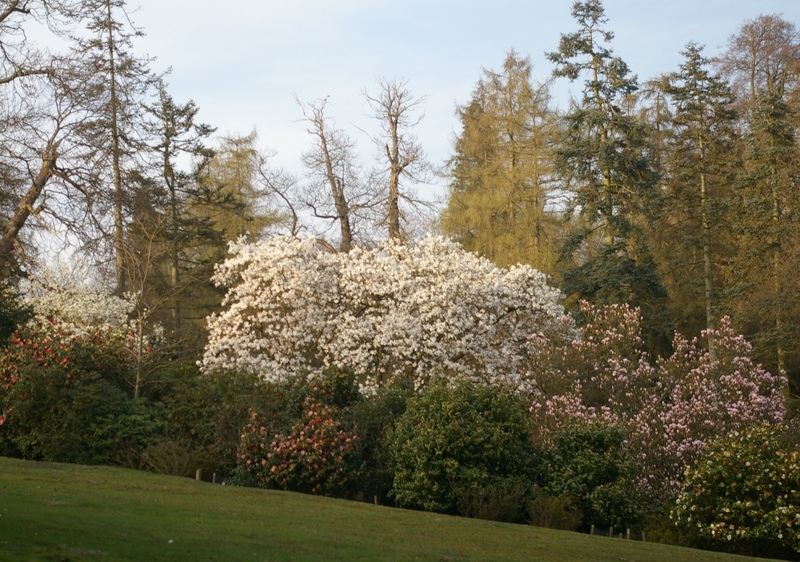 Spring in the Valley Gardens; Mark's responsibilities in The Royal Landscape covered the Savill and Valley Gardens, and the private garden around Frogmore House. The very highest standards of horticulture were maintained in them all. 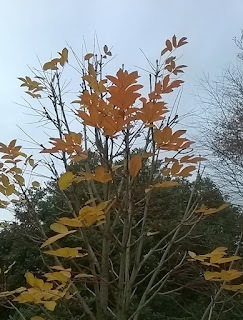 Meliosma veitchiorum, one of the 'aristocrats of the garden', grown from seed collected by Mark in Sichuan, growing in the Savill Garden (bad phone photo from yesterday morning). The first shoot ever to be cut from it adorned his coffin, alongside the long infructescences of another SICH plant, Pterocarya macroptera subsp. 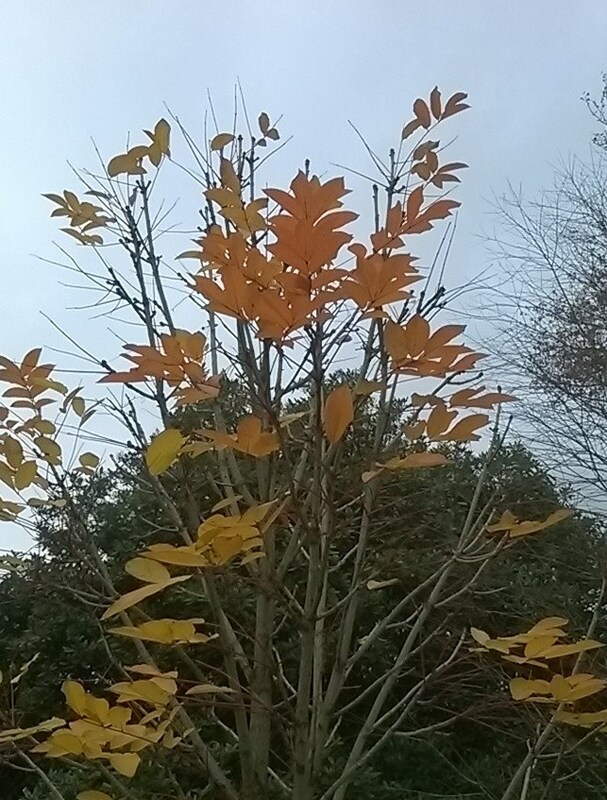 insignis and fine Rhododendron foliage. Other tributes will undoubtedly be paid, and commemorations made, but no plantsman could wish for a better memorial than that of gardens stocked with plants he has collected and grown on, and Mark Flanagan's plants are to be found in gardens all over the country. I hope that this, and their rich memories, will be a solace to his family, Lesley, Callum and Sophie, and his very many grieving friends.